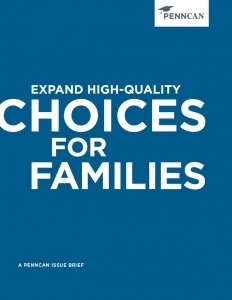 PA has one of the largest populations of students attending charter schools in the nation. Enrollment in charter schools has increased from 67,725 students in the 2007-08 school year to 132,860 in 2015-16. Public charter schools serve a higher percentage of African-American and Hispanic students than traditional public schools. 43% of students enrolled in charter schools across the state are African-American, compared to 13% in traditional public schools. 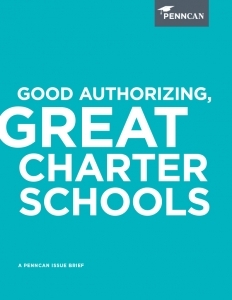 Yet we are not a leader in best practices because our Charter School Law has gone untouched for 20 years. PA’s Auditor General received statewide coverage when he declared PA’s charter law “simply the worst” in the nation after conducting several high profile school districts and charter schools. 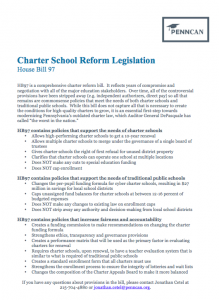 Pennsylvania is ready and in desperate need of charter reform, to protect the many outstanding charter schools successfully serving students and intervene in the schools that are struggling. In a bipartisan effort, HB97 was passed by the PA House by a vote of 108-84 on Tuesday, April 25. The bill now moves to the Senate for consideration. Stay tuned for updates!